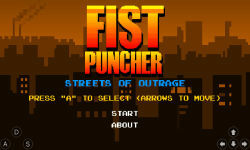 A beauty contest participant is kidnapped by a crime lord and his gang. 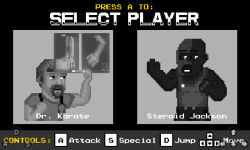 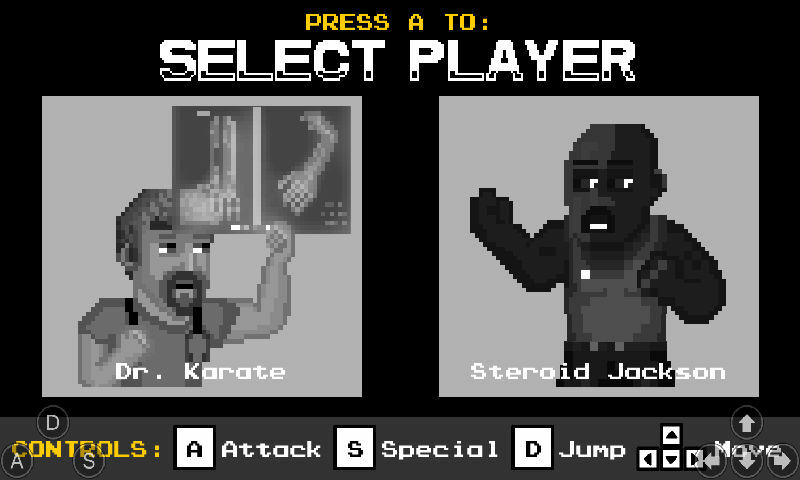 Play as Dr. Karate, a doctor who has martial arts experience, or a brave sportsman named Steroid Jackson. 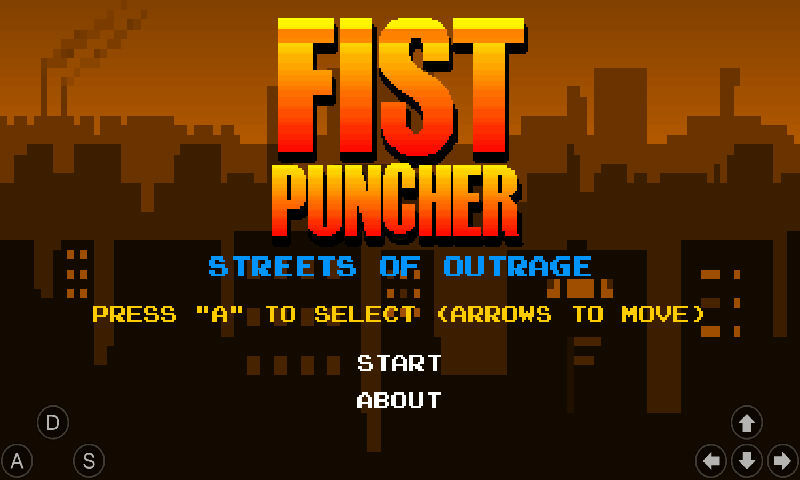 Take on the street thugs and defeat their boss Stabby Rascal in time to rescue one of the most beautiful girls on Earth! 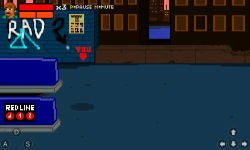 Use Arrow keys to move, A to attack, S to use special attack, D to jump.